Drones remain one of the top tech toys of 2018, and the market is becoming flooded with great choices. It can be difficult to choose just one, as their flight range, features, and even looks can vary. You don’t have to spend hundreds of dollars to get the best quad copter, but you don’t want to buy a cheap one that has no internal gyroscope stabilization either. But you can buy the perfect drone for under $500 that has most of the exciting features you want, including the best drone with camera, and an ability to perform tricks. 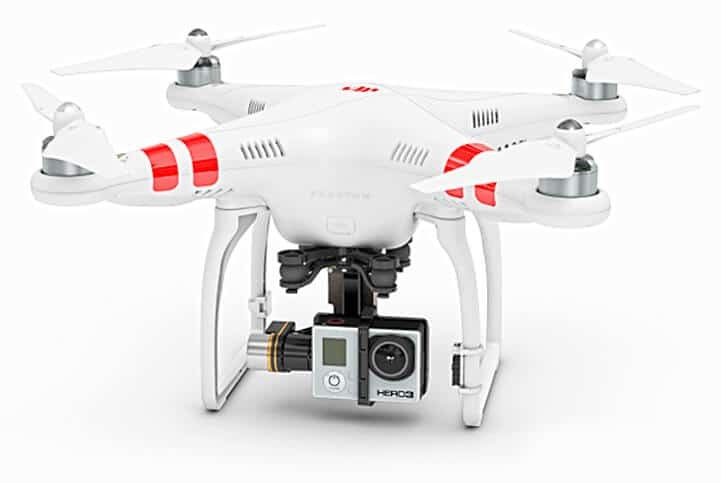 The DJI Phantom 1 is an earlier quad made in the DJI line of quadcopters. It has a shiny white body with four white propellers and two red stripes on each of 4 arms. There are two long white legs on either side that are meant to protect a Go-Pro mount and HERO camera, but they aren’t included in the purchase price. This may be the right option for the videographer who wants to choose the best video kit for their purposes. It has a 5.8 GHz radio transmitter/controller and through the use of WiFi and an app will enable you to watch live streaming video on your smart device, should you have that additional purchase of gimbal and camera. There is a Naza-M V2 flight control system. It utilizes GPS for navigation and to aid in flight stability. There is the choice of a beginner’s GPS flight mode, or expert manual mode. The GPS mode is recommended for filming as it enables the photographer to focus on the images and not the controls. GPS mode is akin to an autopilot, and will keep it on a steady, non-shaking level. There are safety features built into this quad. If you should release your hand from the controls, the Phantom 1 will hold itself in a fixed horizontal and vertical position until you’re ready to touch the controls again. The Phantom 1 can fly as fast as thirty-six km per hour and can ascend to a level of 200 metres. You can send it out to a distance of 1000 metres. It has a battery charge of 15 minutes. The Phantom 1 is rechargeable, but the radio controller needs five AA batteries, with a separate purchase. The DJI Phantom 2 is a step up from the 1. It has the same look of the Phantom 1. It includes both the quad and the remote transmitter. You’ll need to attach the propellers before starting but they are self-tightening, which is an improvement over the Phantom 1. This Phantom 2 does offer an impressive flying time of up to 28 minutes on one single charge which is nearly double that of the Phantom 1. It has a 5200 mAh lithium polymer (LiPo) battery that is removable, so you can switch it with a freshly charged one. The battery is also physically larger than in the 1. The Phantom 2 is built with intelligent circuitry and also has a battery charge indicator. It has a redesigned propulsion system and a new compass. The motor itself has also had an upgrade. It has a three axis gimbal that will provide for stable yaw, pitch, and roll and a built-in gimbal tilt for more exciting video. You’ll be able to control all these functions with the radio control unit. This setup does not include the Zenmuse H3-2D gimbal or HERO camera which you will have to purchase separately. If you choose to get the camera kit you’ll also need to download firmware to calibrate the gimbal. You’ll find that the 2 is better than the 1 if you are specifically purchasing a quadcopter to assist you with filming the highest quality video that is crystal clear, smooth, and perfect. The Phantom 2 is a better purchase over the Phantom 1 as it has had a significant upgrade in parts and features, however, collectors may still find some value in the Phantom 1. The Phantom 2 Vision has been discontinued, but is still one of the best drones on the market today. It has the classic sleek white Phantom look with two red stripes on each arm. It has two protective legs but it differs from the 1 and 2 in that this version actually has a circular camera. This camera will provide clear and vibration-free footage with the anti-vibration camera platform, with a single axis stabilisation system. The camera is actually built into its own gimbal so there is no option to choose a gimbal or choose a camera as this is an all-in-one kit. You can actually tilt your camera through the app, while your quad is in the air. You can choose different angles of 0 to 60 degrees while it’s in flight through the app. The camera will record HD video of 1080p or 1080/60i and 14 megapixels. It will save images in RAW or JPEG formats. The Phantom 2 Vision has been designed to be lightweight even with the integrated aircraft and camera. To run the camera you must use the DJI Vision App on your smart device. The app has some great features, such as a virtual radar aircraft locator which will keep you from losing your craft in the distance. You can use most iOS and Android devices. It runs on WiFi with a range extender that increases WiFi distance to 300 metres, for a total communication distance of 500 metres. You can run the Phantom 2 Vision to a maximum speed of 15 metres per second, though the instructions say this is not recommended. It also has low voltage protection so your battery will always provide a full charge even when running low. Flight time is an impressive 25 minutes. The Phantom 3 Standard is one of the best drones that is still being actively promoted by DJI. It comes with an onboard camera and gimbal. It has the sleek white distinctive design of the DJI Phantom line, with metallic red stripes. It has comes with a separate radio controller unit, but you can attach your smart device to the top and run the app. There is an automatic flight assistant that includes a return to home function. The built-in GPS will record your takeoff and flight pattern so that if it ever loses touch with the transmitter, it will automatically fly back to the starting point it remembers. You can bring up a map in the app and see where the Phantom 3 Standard is in relation to your location. It will also automatically calculate remaining battery time so it won’t drop out of the sky. The camera takes 1080p 2.7K video and 12 megapixel photos. The quadcopter will always remain stable so you can record the best images and video. The Phantom 3 Standard has a running time of 25 minutes, and a long control range of 1000 metres. It can run at a max speed of 57.6 kilometres per hour and a high altitude capability of 6000 metres according to the DJI website, although 120 metres is preprogrammed in. To start it up, it will raise in the air and hover in place waiting for your next command. The auto rover will hover in both position and altitude. It responds quickly to a flick of your finger and will immediately go in your desired direction. Simply remove your fingers from the controls and it will go back to hovering in position, awaiting your next command. There is also the option to program in safe flight limits so your Phantom 3 Standard will stay within a specific distance of the transmitter. The Hubsan H301S is more in the drone plane category and is not a quadcopter. The Hubsan H301S is a Spy Hawk RC plane with a flying weight of 360 grams. It has a distinctive white airplane design with black cockpit, and orange and black graphics. It has a wing span of 100 centimetres and a length of 75 centimeters. The plane has running LED lights in red and green. It also comes with a camera, placing it in a higher class than just a kid’s toy, and has a radio controller unit with full colour viewscreen for those who don’t want to mess around with a smart device. You’ll get FPV at 120 degrees. The camera will record video or images. The LCD view screen is a 4.3 inches. The Hubsan will fit in the best video drone class with its 1080p video and 12 megapixel photos. The radio transmitter has four channels and is 2.4GHz. There is an autopilot module to make flight easier while you focus on the video that live streams to the LCD screen. There is a large antenna on the radio controller, as well as a GPS antenna. There is also an automatic return to home function and a GPS flight control system. A compass sensor will help keep it in the air too. The GPS will provide more accurate flight and flight control capabilities. The Hubsan H301S can fly for 20 to 30 minutes and go to a distance of 1000 metres. It runs on a Lipo battery and there are an assortment of parts and accessories available in the event your aircraft becomes damaged in flight. The motor is a 12A brushless. You can also purchase the Hubsan video goggles which will provide a more immersive video viewing experience. The Parrot Bebop is one in a line of quadcopters. It comes in two different colour options of blue and black or red and black. It has a built-in camera so there is no choice for the pro photographer who wants a movable camera on gimbal. The camera does record 1080p and 14 megapixel photos though, which is of professional quality. The camera footage benefits from image stabilisation technology so photos are always crisp, and video is never shaky. The horizon will also be straight, and not curved. This quad is a good choice for the beginner to learn on as it has a strong protective case made from fibreglass-reinforced ABS materials. It can be flown indoors or out, and a protective hull will protect furniture or walls. This may not be a good choice for the hobbyist who loves using a radio controller as it doesn’t come with one. Instead, you download the app to your smart phone and control it that way. You can download the Free Flight Pro app from the App or Google Play stores. You can also pay for a subscription which will unlock additional features of your drone, including being able to make a flight plan. It has a safety hover feature so if you release your fingers from the controls, it will hover in place until you give it further commands. There is also a function where it will automatically land. The Parrot Bebop has a flight time of 22 minutes that isn’t as long as some of the other top quadcopters, but is still better than the average toy. It has a control range of 2000 metres and a speed of 46.8 kilometres per hour. There is the ability to view the video with FPV glasses too. The Parrot Bebop 2 is a later release than the Bebop 1 and has a slightly longer flight time of 25 minutes, and a control range of 2000 metres. It has a slightly different look than the Bebop 1, being lightweight at 500 grams with a compact frame. This makes it portable to take on your hikes and other outdoor adventures. It comes in a black and white colour. Like the Bebop 1, the Parrot Bebop 2 also has a built-in camera which has an optimized weight. This is a full HD 1080p camera with 14 megapixel photos. It has a high level of flight stability which is required when you want to take the best snapshots or record perfect video. It will still take great photographs with its wide angle lens, even in low light. There is also the option to record horizontal or vertical 180 degree photographs. It is possible to take aerial photographs without losing picture quality. There are three formats available: PNG, RAW, or PNG. There aren’t too many drones that do well in windy or rainy conditions, but the Parrot Bebop 2 has been built to withstand airforces, and is also water-resistant. It can resist headwinds of up to 37.28 mph. It’s also extremely fast at 64.8 kilometres per hour, and about a third of that in vertical motion. It can reach the top speed in 14 seconds. It even has a record braking time which is at four seconds, which will prevent loss or damage. To fly the Parrot Bebop 2 you will need to download an app called Freeflight Pro, and use your smartphone or tablet. You’ll have touchscreen controls at your fingertips. You can takeoff or land with the tap of a finger. You can also use FPV glasses for a completely immersive experience. The Xiro Xplorer V has a high-tech look to it. It’s composed of a matte black composite material with narrow X design and large red and green LED lights. There is also a pattern of LED lights on the top of the quad, making it look a lot like a UFO. There are four protective curved legs for the quad to either land, or to protect the camera and gimbal that hangs from the underside. This best drone with camera has been designed with superior flight, and intuitive design for an affordable price. This quadcopter has been designed to fly well, which is one of the toughest challenges, particularly for new flyers. And for people who are seeking the best drone with camera, it’s certainly one of the most affordable options for photographers or videographers who want one with the best camera. The Xiro Xplorer V has a three axis gimbal with a 1080p HD video camera and 14.4 megapixel camera. The camera has a polarized lens for glare-free photography. There are some other great functions on this quadcopter. It has Follow Me and Circle Me flight modes. It comes with a radio controller with WiFi and there is a smartphone holder so you can watch live streaming video as it happens. The Xiro Xplorer V runs for 25 minutes, and has a control range of 500 metres. It can fly up to an altitude of 4000 metres. The AEE Toruk AP10 is another great drone if you’re seeking a best drone with camera. This has a similar look to the Phantom line in a shiny white plastic body with one stripe over the back legs and black and red AEE logo on the body. The AEE Toruk AP10 comes with a great video camera of 1080p/60fps video resolution. The camera has a 144 degree wide angle lens which will provide more amazing shots. The camera will record video, single shots, and multiple shot bursts. It will save video as MOV and images as JPEG. The included Micro SD card will save images and video up to 64 gigabytes. The AEE Toruk AP10 has a flight time of 25 minutes, and a distance range of 500 metres. You can guide it up to an altitude of 4000 metres, with a relative height of 500 metres. It can fly to a maximum flight speed of 20 metres per second, with the perfect cursing speed of 10 to 15 metres per second. The yaw is 120 degrees per second with a maximum tilt angle of 30 degrees. This quadcopter comes with a flight controller. You can press the auto return button to bring it back to you if it should become out of control, or out of range. It can also detect when it’s running low on power, so it will come in for a low power landing. It comes with two flight modes: a normal mode and a GPS mode. The AEE Toruk AP10 is powered by a lithium polymer battery which provides for a longer flight time. There is also an app so you can monitor and control it from your smartphone. This is one of the top drones and measures 14.6 x 14.6 x 5.6 inches. The Aries Blackbird X10 may not be as popular as some of the other drones on this page but is still in the best drones on the market class. Aries is a new brand of camera drones. This will be of interest to both the professional and the hobbyist. It has a stable and reliable performance. The Aries Blackbird X10 may be the best drone to buy and since it has a camera, can also be one of the best video drones too. The camera shoots at 1080p HD video and 16 megapixel still images which will be in ultra-high resolution. You’ll be able to have a perspective from above 500 metres. The images and video will be saved to a MicroSD card that stores up to 32 gigabytes. This quad has a six axis gyro stability which aids in providing the best shots and smooth video footage. It has an advanced flight controller. The operating controls are simple and easy to operate. The controller has an ergonomic design and feels extremely comfortable in the hands. It has a transmitter range of 500 metres with 2.4GHz WiFi integration. There is also a repeater which will increase its connectivity. The live streaming video footage can also be sent to a smartphone or tablet through the use of the app, and works with both iOS and Android devices. Various functions can be accessed within the app, including varying the field of view of the camera. There are some great features built into this copter. There is an emergency safe return if it gets too far out of range, and an auto landing function. The quad also has a a protective weather-proof body. Its base is wide so it will land soundly. The Aries Blackbird X10 has a flight time of 25 minutes and will go to a distance of 500 metres. The Blade Chroma is on the list of best drones due to its long running time of 30 minutes, and flight range of 400 metres. The Blade Chroma has a similar look to the Phantom as it’s an all-white colour with 4 rotors, with a camera gimbal. The camera is not included. The gimbal is a GoPro ready GB203. It’s brushless and is 3-axis. It has an MK58 video downlink. You can add your choice of a GoPro Hero 3 or Hero 4 camera. The quad will provide a smooth stable flight for great aerial photography imagery. The Blade Chroma is simple to fly and will require no prior flight experience. There are two different modes. One is the Smart Mode which is suitable for beginners, and the AP mode which is suitable for more experienced pilots. It’s built with advanced SAFE (R) Plus technology. It has an autonomous Follow Me mode, and a tracking mode. The return to home function will ensure you don’t lose your copter out in the wilderness. The flight controller is in a white box and is ST-10+ with a touch screen display that doesn’t require the addition of a smart device. You’ll be able to see live video and telemetry on the controller display. It has a mounted GPS antenna which provides for superior accuracy. The flight controller is made by Yuneec and it has a large handle at the top so you can easily transport it to your next location. The screen on the controller is 5.5 inches wide. It will also display info such as speed, altitude, and battery voltage. All the switches and buttons are clearly marked. There is a slider switch for camera tilt and a slider switch for adjusting drone speed. The flight and camera controls are all simple to operate. This aircraft utilizes GPS, particularly the GLONASS and US GPS. This provides for greater accuracy in flight controls and more reliable response. You can also program in a SAFE circle so the quad will never get close enough to you to ever injure you. There is an auto-hold position so if you release the sticks, your quad will hold its position and altitude until you’re ready again. The quad is built with a long-lasting 6300mAh LiPo flight battery and has a flight battery charger. You’ll also get an extra set of propellers in the box, and a USB programmer cable. The Muvi X Drone may not be a familiar best drone on the market but it’s worth taking a lot at. It has a unique black body with two forward black and white arms, and two black, yellow, and grey back arms. The Muvi logo is prominently displayed on the front. Like the Parrot Bebop line, the camera is actually installed within the body, to save on payload and to protect the camera while in flight. What’s so nice about this setup is that not only does it include the camera, but the flight controller too. Many of the other drones have one or the other to cut back on costs. The Muvi X Drone is a great all-in-one kit so you won’t have to purchase anything else, and will be able to remove it all from the box to get started. The quad is ready to fly within minutes of removing from the box. The camera will record at 1080p full definition video and take 16 megapixel still images. The Muvi camera is on a stabilized system so photos and video will never be blurry. You’ll be able to record professional images without any prior experience. The GPS function will also help you to film video by keeping the film stable. You can enable live viewing and control the quad through your smart phone or tablet. Both iOS and Android devices are supported. You’ll need to download the X-Drone app to make it all work. It has GPS-guided functionality. It has all the features that you’d expect of a drone for under $500, including a return to home function if it loses contact with the transmitter. It will also return to home automatically if it detects a low battery. The battery is a LiPo drone battery. The Muvi X Drone has a flight time of 20 minutes and a flight range of 1000 metres. In the box is the X-drone, a flight controller box, propellers, propeller guards, a smartphone range extender and smartphone mount, the X-Drone battery, a battery charger, a tool set, a screw set, a controller strap, and a user manual. $500 does not include the camera. If you wish to have the camera you’ll need to add more dollars and the A, B, or C configuration. The XK Detect X380 does have the support to hang your mini camera. It has a simple camera frame. The gimbal has two high precision gyros which will counteract the shaking of your camera. This means you’ll be able to record some smooth video and crystal clear photographs. This quad operates with radar positioning and GPS. It has a return to home function to help prevent its loss. If it goes out of range, the return to home function will be triggered. It will remove its original takeoff point and land safely. The XK Detect X380 has a long flight time of 30 minutes, and a range of 1000 metres. It has a circle monitoring function that can be set, and then it will fly around in a circle based on the centre point of the radio transmitter. There is also a super headless function so you don’t have to visually figure out which part is the nose. Fly it forward, back, left or right. This is a great function for the beginner who can’t figure out which part is the nose yet. The XK Detect X380 also comes with a black radio controller box with a small view screen. Walkera is a familiar brand of quad toys. They have released the Walkera QRX350 to provide a quad for professional usage. It has that similar white Phantom look to it. They have even copied the two orange stripes on the arms. Walkera has made this fun to fly and is the best UAV for the beginner. It comes with a white and black radio controller unit with GPS. There is a full colour view screen at the top front with two large antennas. It utilizes kernel processing technology. You can do a turn back throttle to the middle position which will allow the aircraft to hover. This GPS control system is stabler and will enable you to more easily fly your quad. The screen is a 5.8g image transmitter and will show live streaming video of what the camera is seeing on your quad. It has a control range of up to two kilometres. Aerial photography will be much simpler with the Walkera QRX350. This setup includes the ilook camera. It has HD 13 million pixels, and has a wide angle sport camera. You can record video or take snapshots. It has a professional brushless gimbal which will provide for more stable aerial photography and take clearer photos. The Walkera runs for 25 minutes with its new 5200 mAh large-capacity lithium polymer battery. It’s safe and simple to charge up. You can fly the Walkera QRX350 out to a range of 3280 metres. There is a camera in this basic Devo 10 setup, but you have the option of switching it for three other versions. There is also an FPV full set, FPV advanced, and WiFi version to work with smart devices. The differences lie in how far the control range is, and how far the image transmission range is. The WiFi version allows you to use a smart device instead of the radio controller to view live streaming images. It’s a tough contest to determine best drone for under $500. For some, it may be a deal breaker that the kit doesn’t come with a real radio controller unit or a camera. For the quads on this list that don’t come with a camera, generally one can be added for around $200. It will depend on whether you plan to simply have fun, or if you need to take photos and video. If you’re purchasing for a business you can afford to spend the extra cash to add the camera. The Phantom 3 Standard has the most impressive flight control system, safety, and quality of camera. Any of the quads in the Phantom line are great, but the Standard was the one with the most features. The Phantom 1 may be great for collectors, but is pricey and for the same cost you can get a newer quad model. The 15 minute flight time isn’t so great either. The Xiro Xplorer V was one quad in the non-Phantom lineup that was the most impressive for it’s ease of flight, great camera, and best features. Some of the lesser known brands didn’t score as high as they make it sound like they’re great drones, but reading the reviews, they still haven’t mastered that ease-of-use and can get out of control at times. The Blade Chroma scored low as it was pricy at 449 and didn’t even include a camera. This manufacturer has a lineup of toy drones that are known to be difficult to control. The Hubsan H301S was more of a plane than a quad, and looked great in theory. However, reading the reviews, it appears that it’s not durable enough as many buyers have experienced the wings breaking off easily. Apparently this is not included in the warranty. The Phantom 3 Standard is our recommendation of the best drone to buy, but your top quadcopter may vary slightly if certain features are more important to you. Some pilots will love an onboard video camera while others will simply want to experience the thrill of the flight. 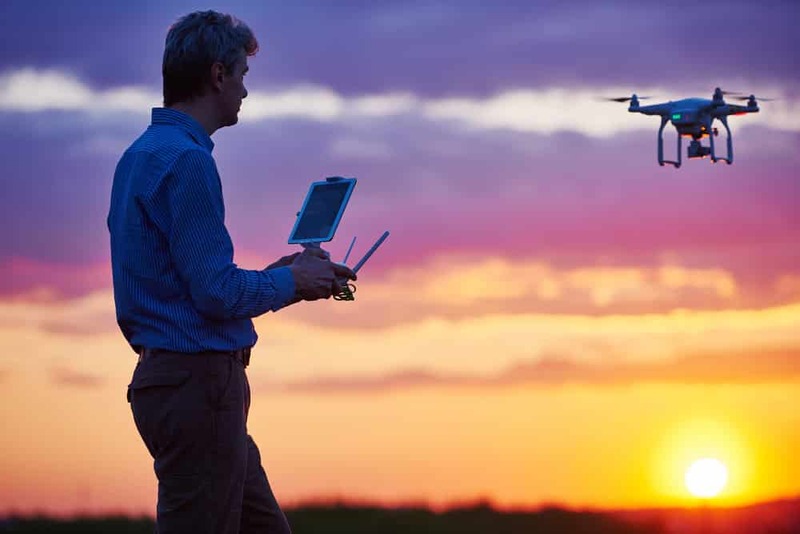 Beginners may wish to start with an inexpensive drone at the risk of trashing it while they’re learning on the field, while experts may long for the best quad copter with all the features. No matter what the result is, once you get find the best drone on the market, you’re going to be hooked. Here is the table with the final results of the best drones under $500.